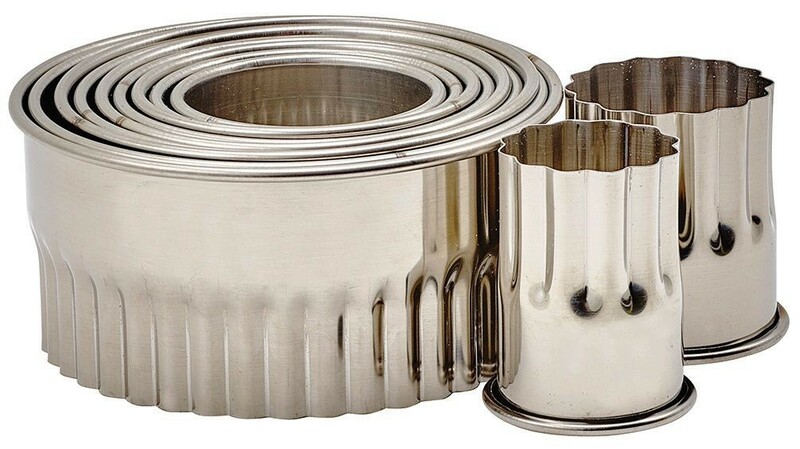 The 11-Piece Round Fluted Cookie Cutter Set, 2" Deep is key to creating quality baked goods. These stainless steel cookie cutters are perfect for use in commercial kitchens, where they can be put to use shaping delicious treats. Made of durable, rust-resistant material and featuring a round, fluted design, these cutters do a great job transforming simple rolled dough into beautifully shaped cookies. The quality cookie cutter set consists of 11 pieces in graduating sizes that nest together for easy storage.